Audrey Allure: Tasty Thursdays: Pog Punch + Announcement! Tasty Thursdays: Pog Punch + Announcement! I found this refreshing, summer cocktail on Marie Claire's website. Yum - been loving pineapples lately! 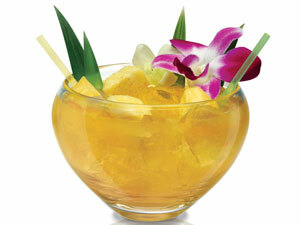 In an ice-filled shaker combine all ingredients, shake, and strain into ice-filled scorpion bowl. Garnish with a floating orchid and pineapple. Accessorize with straws. Check out the previews below, including a behind-the-shoot of the Heidi Klum's promo photo shoot! congrats on being a PR blogger! Congratulations!!!! Wow oh wow that's an awesome gig you have! You'll do amazing, I know it! oh your blog is so cute <3 would you like to follow each other? sounds delish, would love to indulge in some home made summer cocktails but the weather here has been awful! congrats Audrey! I follow you now! :) kisses! Congrats on the news Audrey. You deserve the attention and recognition--I am sure you'll have fun with rubbing elbows with the talented and famous. such a summer-y drink!! and a huge congrats to you!!!! Congrats, dear! it's simply gorgeous!!!!! She is so gorgeous! And the new show previews is awesome! Congrats in being accepted as one of the FR bloggers, that's amazing! 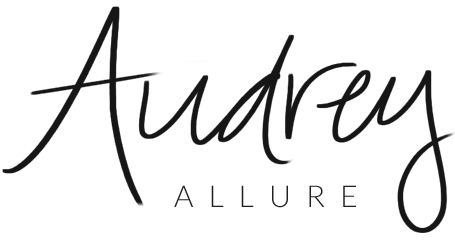 Audrey super congratulations! So happy for you. It's truly an honor to be distinguished. I'm a big fan of pineapple, so I know I will love that punch. wow yummy punch and also a huge heartfelt congratulations!!!! you deserve it girl, you rock!!!! I NEED to try that punch!! It sounds heavenly! Very cool post. Your choices are always so stylish and refined!!!! I've never had a pineapple cocktail... it sounds delish! Wowwww, that's a great news! Congratulations! I have to say I never watched Project Runway :). Audrey that is wonderful news! Congratulations and I look forward to more Q&A interviews. OMGGGGG!!! Really?? Congrats!! I am so happy for you!!! Congratz!!! Punch recipe looks great! I love "Project Runway"! I can't wait until it comes back on. Looks like a good drink! I'm in love with pineapples too! It looks so tasty! I'll definitely make it myself, tkanks for the recipe! great post honey, i love this drink! I loved Project Runway...I've never watched it on Lifetime! I must try this drink out! Yum! Project Runway + this cocktail = perfect duo!!! Happy Friday! and i am so excited fr project runway!